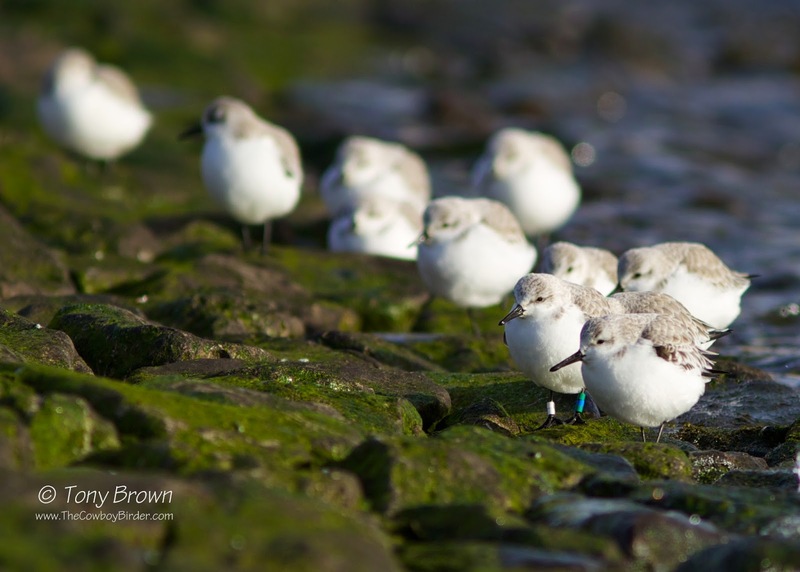 The Cowboy Birder: Colour-ringed Sanderling? Does anybody know anything about colour-ringed Sanderling? I found this colour-ringed Sanderling amongst a flock of c100 birds roosting along the promenade at high tide in Southend today. It looks like a combination of colours (2 white or silver rings on the right leg and 3 rings green, blue, green on the left leg). I had a quick look on the European Colour-Ring Birding Website but I couldn't make head nor tail of it! So If you can work it out or have any further information, I'd love to know the history/movements of this bird.